COMMENT | Dr Mahathir Mohamad is once again Malaysia’s prime minister. Pakatan Harapan under the strategic leadership of Mahathir was able to create the perfect electoral storm to win over large shares of Umno’s base, maintain the support of the opposition and bring about Malaysia’s first change of government at the federal level in the nation’s history. Democracy won out – the people’s votes were counted and a responsible peaceful transition of power took place. Najib Razak’s governance – the greed, the kleptocracy and the sense that he and his wife, Rosmah Mansor, were willing to sell out the country for their own interests, no matter how egregious – served to deeply alienate Malaysians across races and backgrounds and was strongly repudiated. Millions of Malaysians took the ballot box and follow BN’s advice – ‘Make Malaysia Great Again’. While I did see an opposition win as a viable scenario in the GE14 political storm and could feel the strong sentiments on the ground, especially as the campaign gained momentum, I was too cautious in assessing the overwhelming outpouring, weighing in on the powerholders holding on. I should have had more faith. I have long recognised the wisdom of ordinary Malaysians, and let despair, past disappointment and cynicism – in part shaped by global trends – overshadow hope. In the wake of the Harapan victory, I begin my post-election analyses with focus on how hope can be actualised and an important healing process can begin. Nationalism was a main driving force of this election as people from all walks of life voted to ‘Save Malaysia’. Most citizens put the love of their country over self-interest, following Mahathir’s own example. The BN’s emphatic loss was in large part due to its failure to look out for the interests of the country - from 1MDB to worrying investments with China. Malaysians have long come together in crises such as the tragedies of MH370 and MH17. GE14 represented yet another coming together to address a crisis and provides a positive opportunity for Malaysians to focus on national interest, a reset button. It is important to capitalise on this spirit of working together, as the challenges of much-needed political and economic reforms extend well beyond one man (and his wife). Focus has been on the multi-ethnic and national dimensions of the results. Caution is necessary in interpreting the results along these lines. 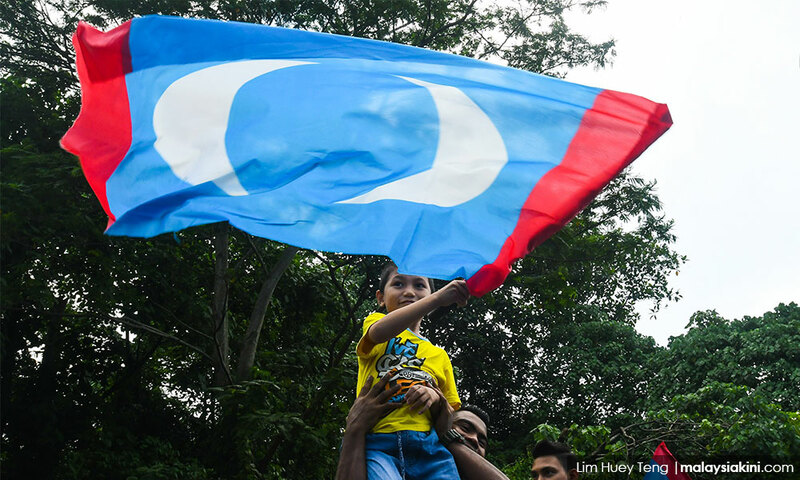 While Malaysians from all walks of life voted for Harapan, the campaign was very much shaped along ethnic lines on both sides of the political divide. Even the post-election discussions of crossovers and such speak to the issue of Malay representation as opposed to others. Ethnic mobilisation – engaging Malays – was at the heart of GE14. Umno was abandoned in large numbers with some going to Harapan, but others went to PAS. Arguably the Islamist party took more from Umno support because it was a more comfortable racialised alternative for many Malays. While Harapan took away the mantle as the protector the nation, PAS has assumed the mantle for the Malays, with religious identity at the core. Similar strong ethnic sentiments were expressed in Sabah and Sarawak. Acknowledging the persistence of race and religion is essential for any efforts to build a stronger society. This said, arguably at no other time in Malaysia’s history, with the exception than that of Merdeka, has there been space to reduce racism and build mutual respect across communities, to realise that Malaysians embrace multiple identities of nation, community and religion and these identities do not have to be played off against one another. This involves an understanding that Malaysia’s strength is in fact this diversity and difference. To move away from the “us” and “them” is not easy, to try to have trust, faith, tolerance and be respectful can be even more challenging when these practices have been eroded. Meaningful reform needs to happen to the education system where the values of division are being perpetuated. As a young nation with so much talent, creativity, capacity and hope, the decay and distortions of Malaysia’s education system (often with the frustration and anger of many hardworking teachers) is, for me as an educator, one of the worst legacies of BN governance. Special attention needs to centre on the curriculum in religious education and revitalising arts and culture. Efforts to work toward mutual understanding have to go beyond the classroom, to build on the extensive respectful quotidian exchanges that happen across races and faiths every day. In analysing developments in Malaysia (and elsewhere), I have regularly written about the loss of moral compass in the contemporary era. This was clearly the case among the Umno elites, some of whom wrongly still think that they did not do anything wrong. Those in leadership positions should rightly be held accountable. Moving forward, there is, however, a need for a judicious search for justice. Practices of corruption are endemic and part of a survival mode inside the system. Some in the Harapan government are also tainted with perceptions of these practices as the ‘Umno’ culture of economic entitlement from holding office runs deep. This does not excuse them but helps us understand that the rot is systemic. One important step could be to offer an amnesty to those who come forward, especially at the lower ranks, as a way of reaching across the system and starting fresh. This should be coupled with strengthening enforcement and incentives for good practices, a genuine commitment to anti-corruption. Some of the crimes of the previous administration however cannot be overlooked. Not only do people like Altantuya Shaariibuu, Teoh Beng Hock, Ahmad Sarbani Mohamed, Kevin Morais, Raymond Koh, Amri Che Mat deserve the truth in their deaths and disappearances, as do countless others who died in police custody, were buried in death camps and caught up in perilous trafficking rings. Malaysia’s illegal economy needs to be curbed, and a culture of accountability reinforced. It will be difficult to open old and sensitive wounds but learning the lessons from these experiences and building on the knowledge of the reality of the seriousness of these problems is an integral part of a new beginning, of healing. It is a given that Najib did serious damage to Malaysia’s political institutions, from the judiciary and parliament to the media environment and his own party. Mahathir at the helm provides an excellent (albeit ironic) opportunity for reform, given his national and broad mandate. He can indeed correct many of the mistakes he started and has acknowledged. Lessons show this will take time, prioritisation, trust building, patience and a serious political commitment. Simple measures to repeal draconian laws on fake news, symbolic removal of senior staff who failed in their duties in areas such as the Electoral Commission and positive reinforcement of good practices and those who supported the turnover of power, such as the inspector-general of police, can go a long way. Attention will be paid on developments in the first 100 days. A crucial part of this institutional rebuilding involves the 1.6 million in the civil service, many of whom voted for the opposition, but also many of whom remained loyal to Umno. Keep in mind that BN won 35.4% of the country, over a third. The need for outreach to those in the system to dampen the inevitable resistant and resentments tied to entrenched practices that will come is pressing. As stakeholders and implementors, civil servants are crucial for any successful institutional reform. In moments of change, it is always prudent to look for potential allies and be cautious in rushing to judgement. This does not mean to ignore real threats. GE14 shows, however, that surprising allies can indeed lead to even more surprising outcomes. Equally substantive challenges remain in Malaysia’s economy, as acknowledged by Malaysia’s new leadership. Despite platitudes to the contrary, Malaysia is still caught in a middle-income trap. It does not yet have a clear strategy ahead to move out of it. The focus on infrastructure as a driver of growth needs to be complemented with more alternatives. Serious thought needs to be placed on reforms in the agricultural sector to diversify from palm oil dominance. Equally valuable is consideration of how to strengthen services and ratchet up technology. There are seasoned experts inside the new leadership who understand that vision and long-term planning are better than short-term deals to pay off loans and address scandals. A thorough clean-up of 1MDB and the GLCs (government-linked companies) will go a long way to bringing investment into Malaysia. The populist thrusts of the GE14 campaign messages tap into real needs in society. Broadly, growing inequality, declining social mobility and persistent precarity of large shares of Malaysians underscored the resentments toward the Najib government. The GST showcased these vulnerabilities. Throwing money at these problems through cash transfers such as BR1M did not go to the core of these problems. The poverty and underdevelopment in places such as Sabah, Sarawak and Felda areas remains serious. Equally significant are conditions in northern Terengganu and Kelantan, who cannot be left out of any new sets of initiatives even though they are opposition states. GE14 opens up the path for a social transformation, as did the critical juncture of 1969. If there was one positive from Najib’s decade in office, it is that he moved to embrace a more needs-based approach in social policy. This thinking can be foundational in the transformation, as an approach that focuses on one community at the expense of the other, for that race and not another, is part of the reason Malaysia is in the difficulties it now is. This does not mean that policies cannot be sensitive to ethnic identities and social conditions, and policies will need to be adjusted to address the variation within Malaysia, whether it is rural Pensiangan or urban Kerinchi (not Bangsar South). Now, however, there is an opportunity to have a meaningful discussion about social problems and how they affect the economy and vice versa. Healthcare, gender relations, family structure and religion are an integral part of robust discussions of policy reform. GE14 may have been essentially devoid of policy debate, but its outcome opens up the possibility of moving political discussions in a new direction. Harapan now has the support and goodwill of most Malaysians. Managing expectations and living up to the promise that GE14 has brought about will be a large responsibility. Healing the wounds inside the system and the country as a whole are essential to meet these responsibilities. If there was one lesson I learned in GE14, it is to have more faith … and hope.